Environments Options in MPLAB® IPE allow you to save specific tool settings, so that all of the same settings can be reloaded again in a different programming session. Environments are supported, under all tools, as either .pen files or .pm3 files. To view and change the Environments Options, you need to first login to the Advanced Mode. 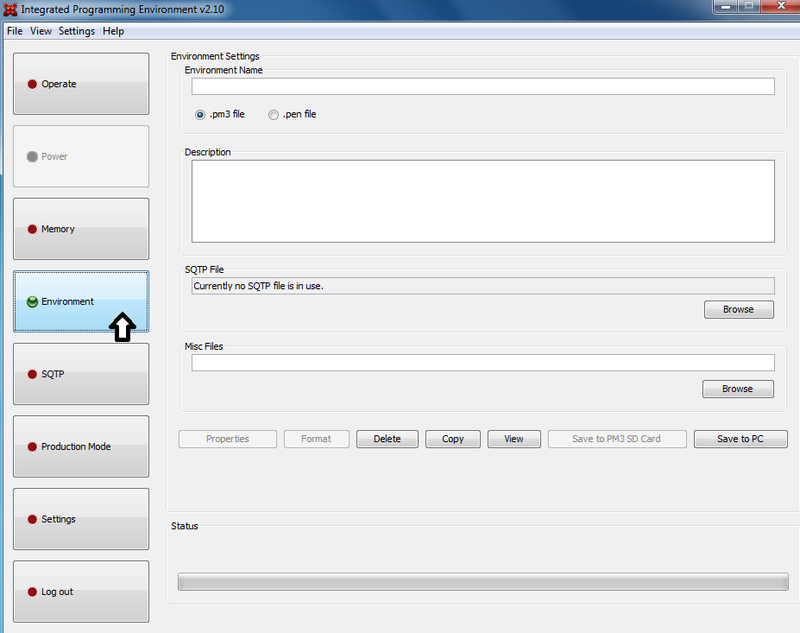 then click on Environment to display the available settings. See figure below. The table below describes the Environment Options in details.